Montana is known for its open spaces, jagged peaks, and unmatched beauty. 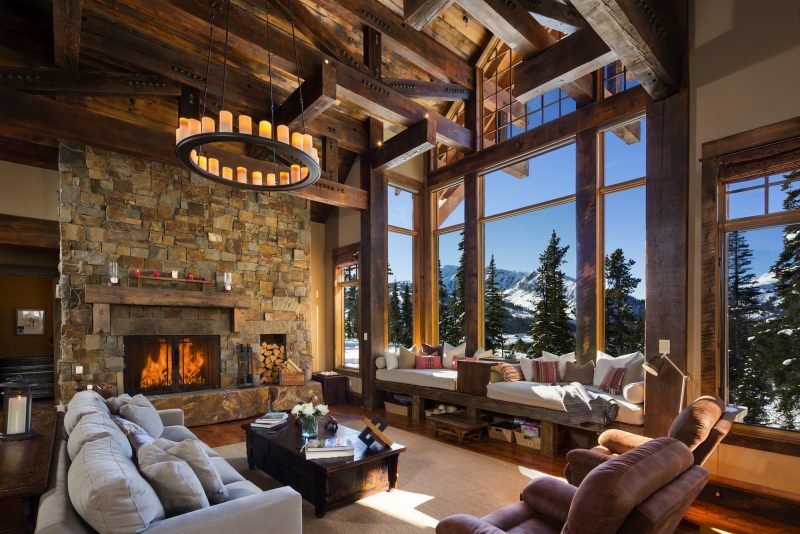 It is true that most homes at the exclusive Yellowstone Club boast incredible views, but none quite as stunning as Cedarview 324, which is shadowed by three prominent peaks – Pioneer Mountain, Lone Peak, and Cedar Mountain. It sits on 4.31 acres of land. The three peaks extend to heights ranging from 9,860 to 11,166 feet. Taking this scale into mind, the design of Cedarview has been customized to allow the unbelievable surroundings to ‘enter’ the home. You can feel the mountains’ presence in almost every room. 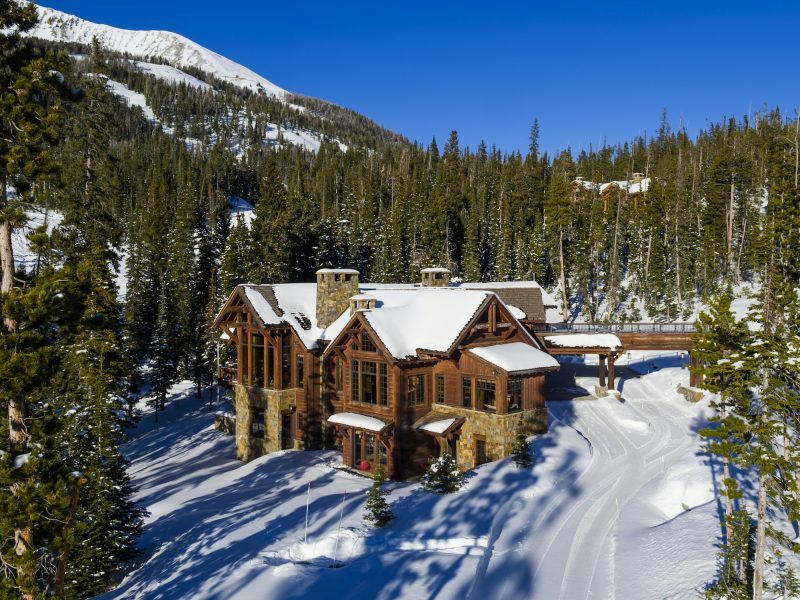 Cedarview is tailored to the Alpine lifestyle and has its own private ski access bridge, spanning above the main entrance. This bridge allows residents to literally ski into the upper level of the home. Skiers have incredible access to miles of Yellowstone Club’s powder-drenched trails and the nearby terrain at Big Sky Resort. 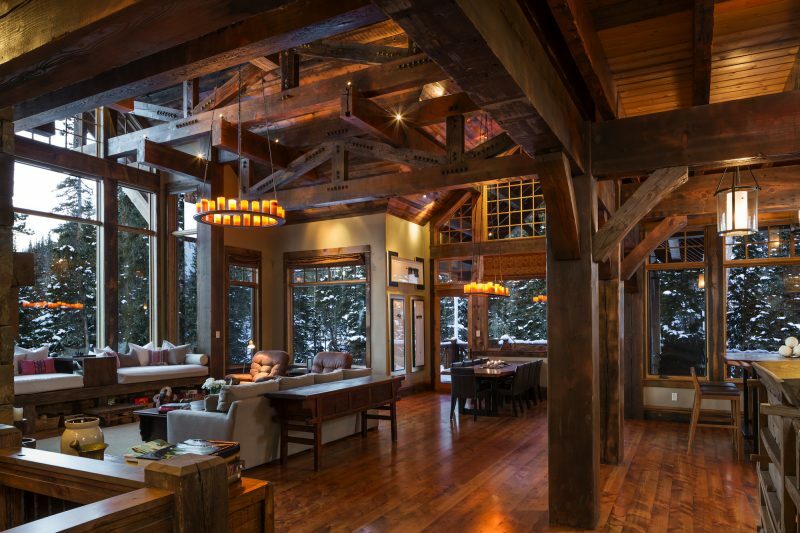 Outside the residence, the rough sawn exterior siding and trim present a classic mountain lodge style. The commanding entrance and porte-cochere is connected to the upper ski bridge. Inside, the extraordinary panoramas are enhanced by many unique features. 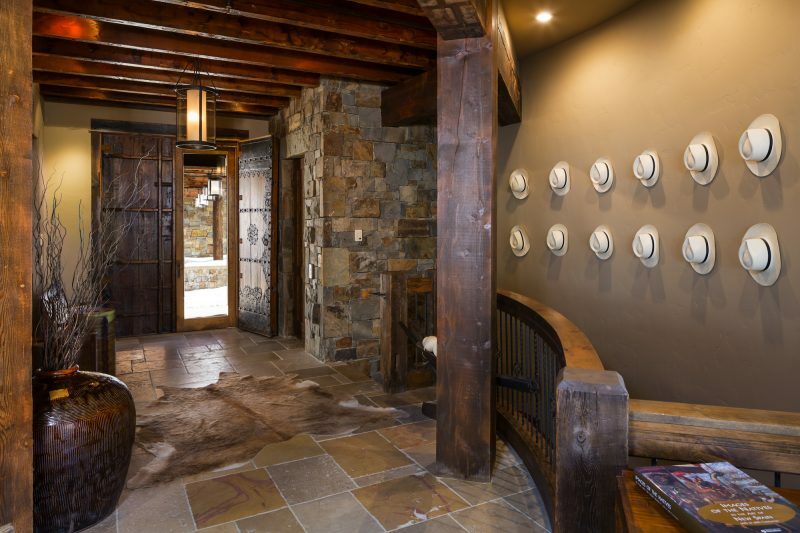 Stone imported from France greets you in the entry, with complementary millwork consisting of reclaimed barnwood and knotty alder doors. A spiral staircase and ornate three station elevator provide access to all levels. 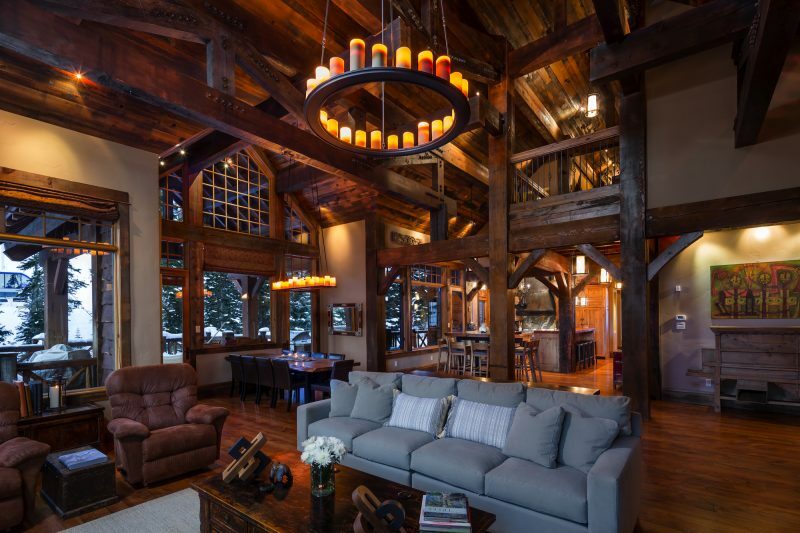 Extensive automated lighting, grand stone fireplaces, custom faux painting, ornate doors, and an extensive collection of antiques from around the world provide a perfect setting for relaxing after a day on the slopes. The great room, kitchen and dining areas open to each other and large windows showcase beautiful views All countertops feature granite and stone from around the world. The cabinets are custom crafted from a local artisan. The master suite offers perhaps one of the most intimate escapes while still taking advantage of the incredible vistas. 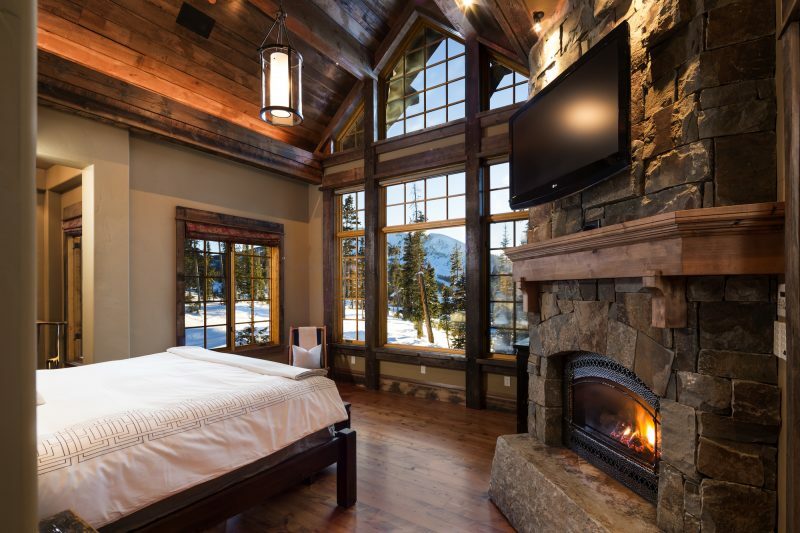 A master bath, large walk-in closet and stone fireplace complete this space. 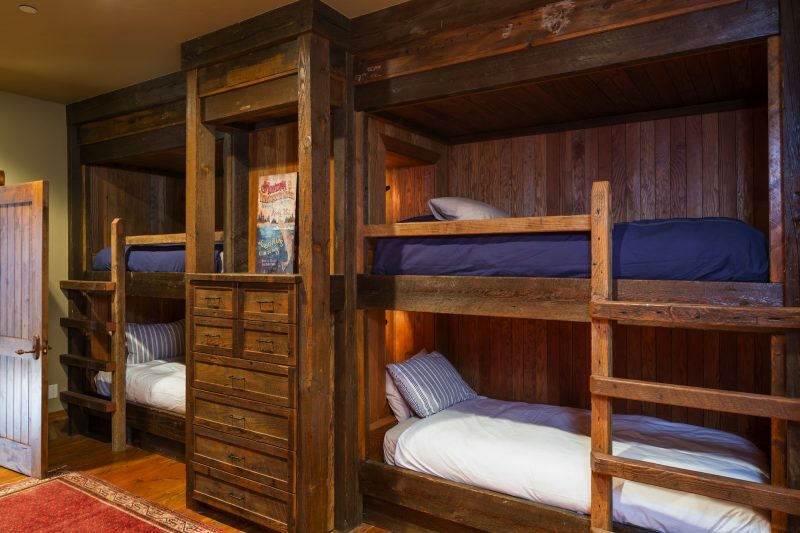 Upstairs, two matching guest rooms with a shared bath, an attic, sitting area and arcade game cove with snack center will give you much-needed refuge after your day on the slopes. 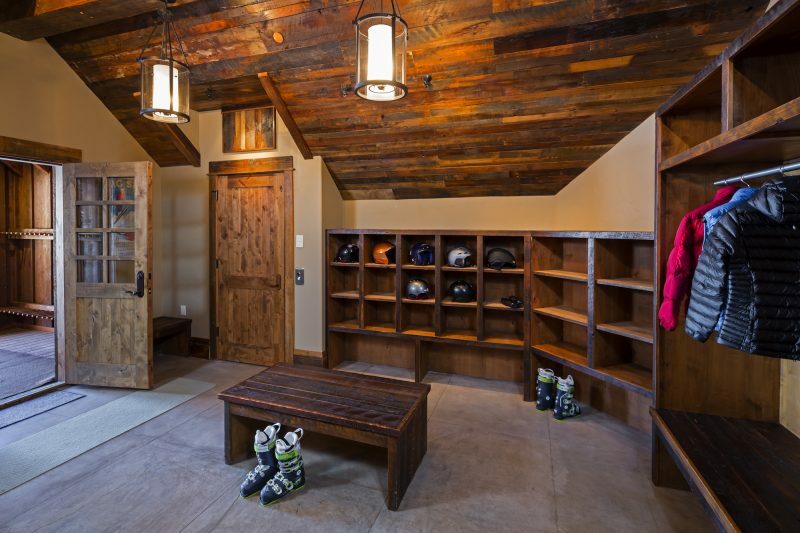 A lookout area opens to the ski room, complete with plenty of storage for all your gear. 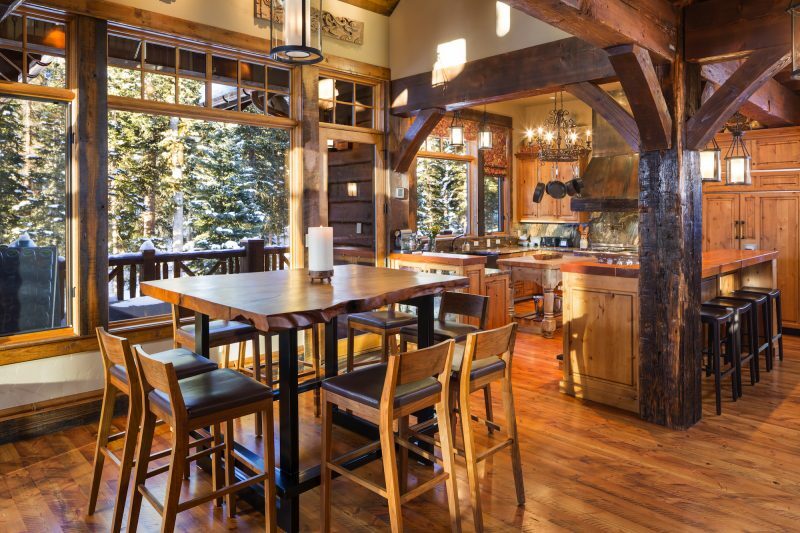 The indoor ski room connects to an additional outdoor ski center that ultimately leads to the private ski bridge. 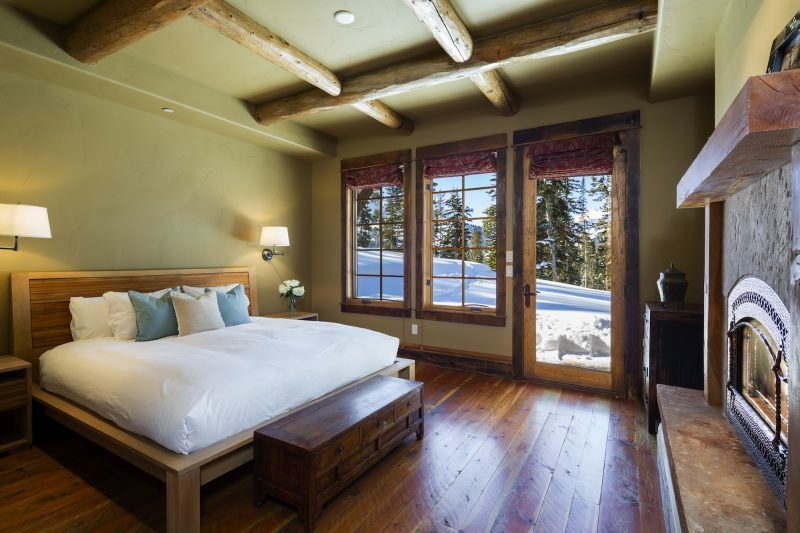 A guest master suite downstairs includes a private bath and outdoor patio where you can relax and take in the views. The custom bunk room and guest suite provide more space for guests, including two dedicated bathrooms. 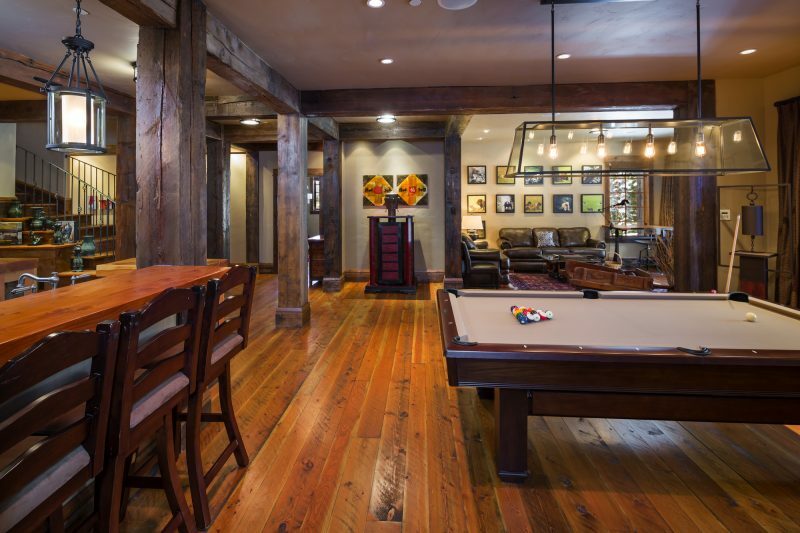 The large rec room, exercise area, billiards table, wet bar, and state-of-the-art home theatre bar offer complete recreation without ever having to leave home. 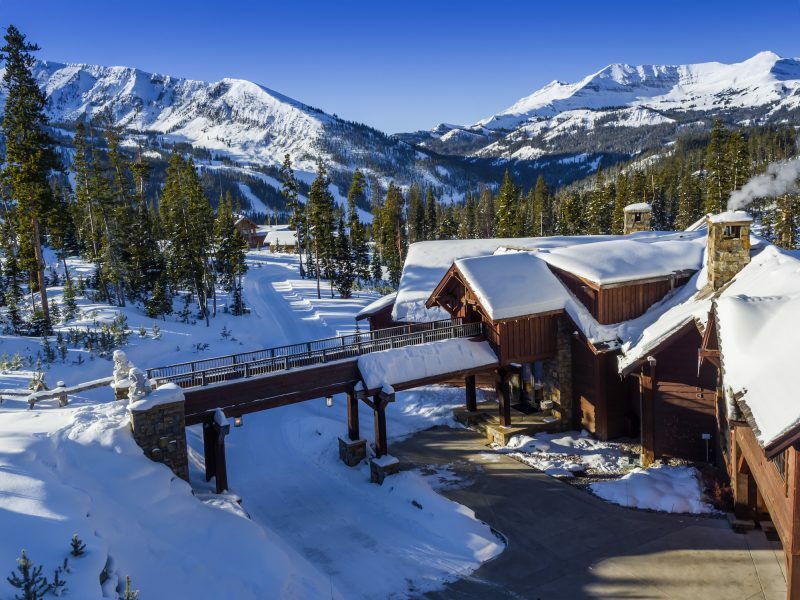 This ultimate ski house in one of the most exclusive communities in the United States is listed for $16.2 million.